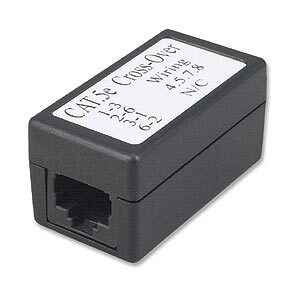 Make a CAT5e crossover connection with standard CAT5e patch cable and this simple crossover inline coupler. It uses a simple printed circuit board inside (instead of wires) for maximum signal integrity. Reliably network two computers together without using a special crossover cable.